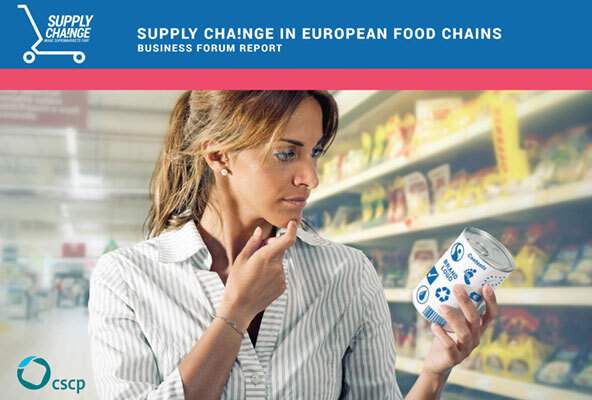 The report SUPPLY CHA!NGE in European food chains provides a comprehensive overview of the Business Forum, which took place in Milan in October 2015, as part of the SUPPLY CHA!NGE project. But more than just reporting about the event, the report analyses and explores the challenges relating to the complex, heterogeneous, and globalized nature of European food supply chains and their implications in the context of supermarket store brands. Asserting the need to implement a holistic and multi-stakeholder approach, the report also identifies opportunities and provides recommendations for the process of making these supply chains more sustainable and fair. The report is addressed to all actors involved throughout food supply chains including farmers, suppliers, consumers, policy and decision makers, with a strong focus on retailers as the catalysts and driving agents towards improving the sustainability performance of European food supply chains.